On the lookout for the best wood floor refinishing Ladson, SC has to offer? With Fabulous Floors Charleston, you don’t need to look anymore! When it comes to the wood floor, the last thing you want to hear is something “sticking”. That’s not true when it comes to your wood floor’s quality and shine, though! We offer years of experience, combined with a process that is hassle-free! You’ll love the new look of your refinished home. We truly believe that we aren’t in the Ladson wood floor refinishing business, we’re in the people business. We’ll bend over backward to make sure you get the specific wood floor look you want. We’ll work with you, and combine our expertise to create a product you’ll love! Our Ladson hardwood floor refinishing service takes just a couple of days. On top of that, we have a Greenguard Certification. This means that our entire process is safe for you and your family (not to mention the environment). Rather than waiting until tomorrow, take advantage of our Ladson wood floor refinishing service today! Give us a call at (843) 212-7722 for a hassle-free estimate. 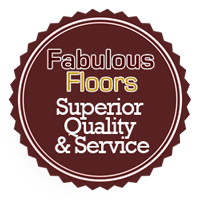 Contact us today to learn more about Fabulous Floors hardwood floor refinishing in Ladson, SC!